I've been absent from my blog for a bit due to wedding planning mostly. 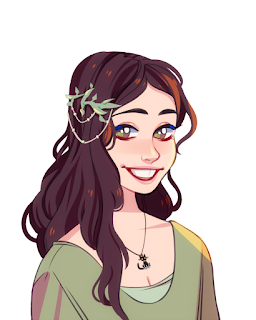 I have been also working on getting a few projects going as well and one if them is finally ready! Buffy Doodles! So, I started a re-watch of Buffy the Vampire slayer at the end of 2013. Jim had never seen it before. Then we got distracted by Angel (he liked it a tad better) so we did not get back to Buffy till mid 2014. As we watched each and every episode, I did a drawing...more like a doodle, something from the episode or just random designs. I am now going to release each doodle (every day, probably) on my new Tumblr account: Buffy Doodles. 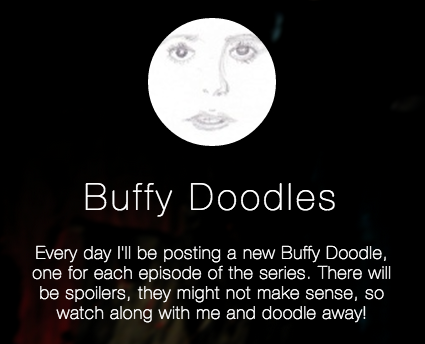 So give it a follow if you're a Buffy fan and share with me your own Buffy Doodles as well!